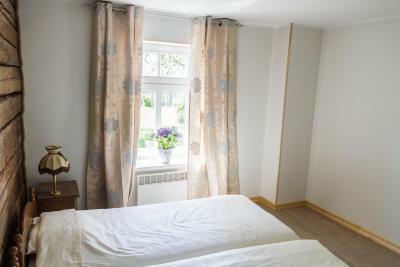 Lock in a great price for Haapsalu Guesthouse – rated 9.2 by recent guests! Peaceful location. Could sleep window open without any noise from outside - well, birds singing. Well designed mix of personal + remote service. Fully equipped clean kitchen. Beautiful garden at lakeside at guests' use. Excellent, moderately priced restaurant (Wiigi Kohvik) 50 m from our doorstep (not wintertime though?) Safe parking. We left Tallinn for Haapsalu on motorcycles, without proper rain gear. As heavy rainfall was expected in Haapsalu for much of the day we called the property to ask for possible early check-in. Our request was met so we were able to check in well before rain. Thank You for saving our day! Also the property is very well kept, decorated with good taste and perfectly located. Loved the location and the view - the place was pretty awesome. Great location, nice building with a yard area, good kitchen and wonderful view from our second floor balcony. The house, the yard and the rooms were all in excellent condition. Large backyard has dining and BBQ facilities right by the sea. Check-in time was easy to change couple hours prior actual arrival and check-out was done simply by leaving the keys in the room. A family room included two separate bedrooms, which was nice. A shared bathroom was clean and tidy. We loved everything about the property. The location is everything. It was absolutely idyllic and relaxing. The only flaw was on us - we should have booked the place for longer. We will definitely be back! Take your morning coffee on a balcony with a sea view and a nice breeze. The location is just perfect. The stunning view from balcony in the water. Direct access through garden to the water line. Full equiped kitchen to prepare own evening meal and breakfast. Our room was quite small. Lovely balcony overlooking the lake. Lovely old house been renovated. Full of character. Sharing kitchen and bathroom but that was not a problem. Our room had a balcony to the west, nice view, location was quiet, host was very friendly. Very comfortable kitchen with fridge, stove, dishwasher - a traveller's dream! 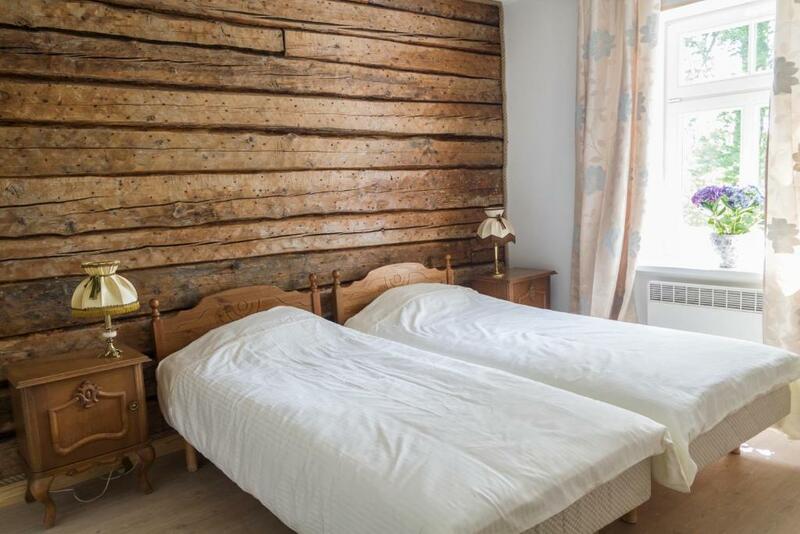 Haapsalu Guest house is located in Haapsalu. Free WiFi access is available. Rooms will provide you with a terrace and a seating area. You can enjoy sea view and garden view from the room. Extras include bed linen. Most rooms have a private bathroom. 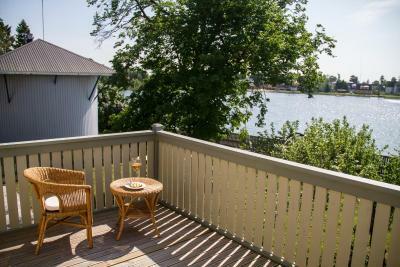 At Haapsalu Guest house you will find a garden and barbecue facilities. The property offers free parking. 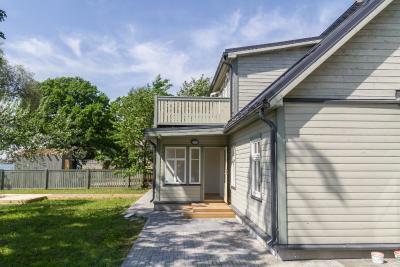 This country house is 55 mi from Lennart Meri Tallinn Airport. 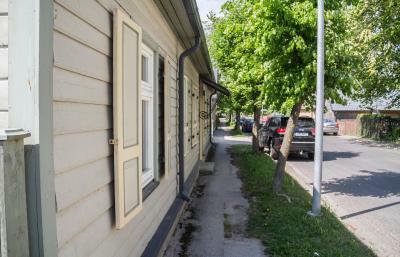 뀐 Located in the top-rated area in Haapsalu, this property has an excellent location score of 9.6! 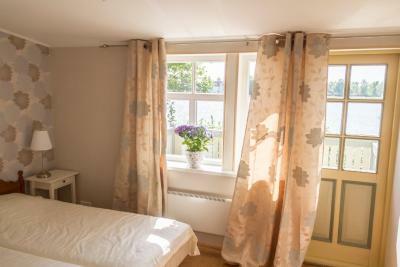 When would you like to stay at Haapsalu Guesthouse? 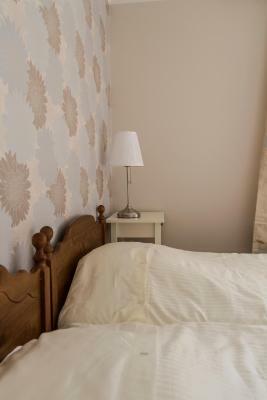 This double room features a seating area, private entrance and sea view. 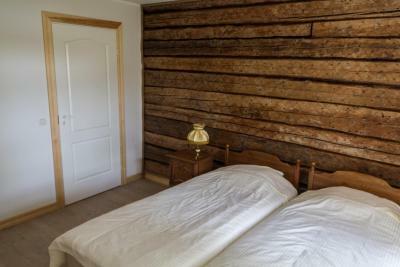 This double room features a sauna, private entrance and seating area. This double room features a balcony, seating area and sea view. This family room has a sea view and seating area. This family room consists of 2 connected rooms with 2 beds in each room. This family room has a private entrance, sauna and sea view. 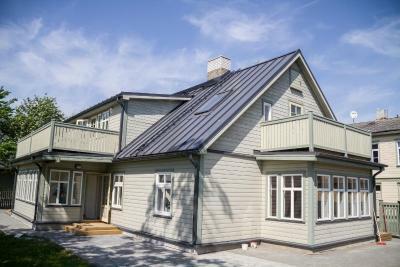 House Rules Haapsalu Guesthouse takes special requests – add in the next step! Please inform Haapsalu Guesthouse of your expected arrival time in advance. You can use the Special Requests box when booking, or contact the property directly using the contact details in your confirmation. Bathroom door couldn't be shut (swollen due to flooding?) , needs to be fixed. It was so hot inside that we could not sleep. There were no air conditioning or fan and since it was so hot we had to keep the door open. No mosquito net in the door or windows so the room was full of mosquitos. The place was clean and location was very good. Clean, easy to use, quiet and comfortable for a family with kids. Very nice, cosy place in Haapsalu. Top location. Our upstairs room was pretty hot (it was almost +30 outside) and because there was no mosquito nets in the windows, we had to keep them shut for the night. There was a large portable fan that helped a little to make it bearable. Really nice location at the peaceful seaside within walking distance from the center. Large family room with own patio. Big backyard. Fully equipped and kitchen. 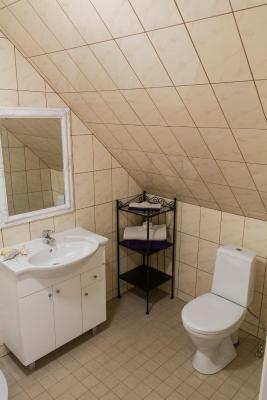 Clean and nice bathroom (prepare with your own soap/shampoo though). Friendly reception. Our room in the second floor under the roof didn't have any ventilation and got really hot really fast. We couldn't keep the balcony door open to get some air either as it dint have net and during the night the mosquitos would get in. Shared kitchen was missing a microwave oven. Neighborhood doesn´t have a nearby store or supermarket (based on looking around / googling). The seagulls' cacophony starts very early but hey that's natural, isn't it? The only thing to improve - pillows were not the most comfortable ones. House just front of the sea, amazing garden!